However, if you’d rather order by mail, simply add the items to the shopping cart and proceed to checkout. To order by phone, call: 1-800-829-5646 and we’d be happy to assist you! Transacting with us is simple, safe, and secure. 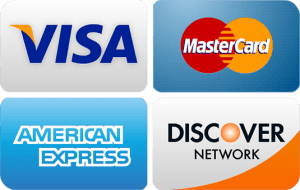 You can also make your secure payment via PayPal. Rest assured, when you use your credit card on Steel on Steel, your personal data is always safe. Steel on Steel is a trusted and verified BluePay merchant. We are PCI DSS compliant and use the latest in secure encrypted tokenization for all online transactions. Your personal credit card data is never stored on any of our servers and the connection between you and our processor is under the highest security. Click the Trustwave badge below to verify.